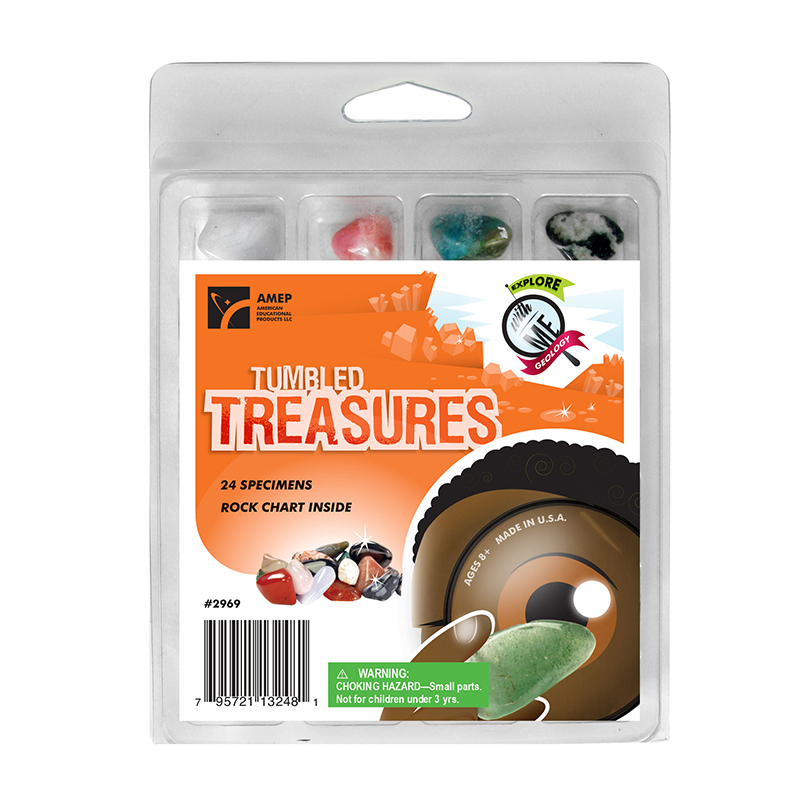 Part of the EXPLORE WITH ME GEOLOGY™ series, these tumbled treasures contain 24 polished specimens (6 each of Rocks, Minerals, Quartz, and Agate) enclosed in a handy, plastic storage container. A rock identification chart, complete with images, is included to help kids categorize their collection. A perfect starter set for the young budding geologist! Grades 3+. Ages 8+.